By now, you have probably heard the buzz about Aidan Donnelly Rowley‘s new novel, The Ramblers. 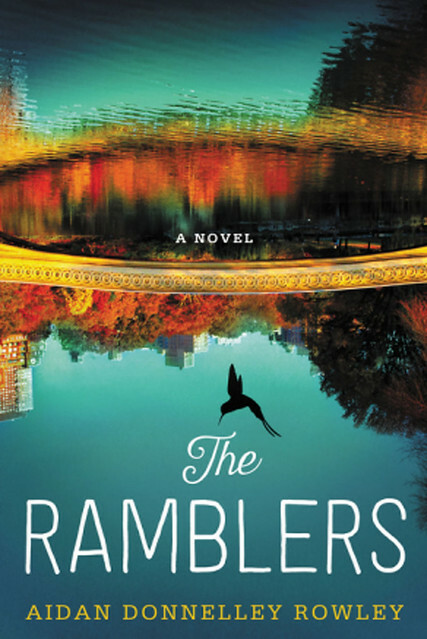 Set in my (and Aidan’s) hometown, NYC (the most beautiful sparkling parts of the city)—The Ramblers explores the lives of three lost souls, bound together by friendship and family. During the course of one fateful Thanksgiving week, a time when emotions run high and being with family can be a mixed blessing, Rowley’s sharply defined characters explore the moments when decisions are deliberately made, choices accepted, and pasts reconciled. I was of course thrilled to work with Aidan and her publicist, on something special for those receiving the advances. It’s no coincidence that the book title references the Ramble in Central Park (personally my favorite spot). 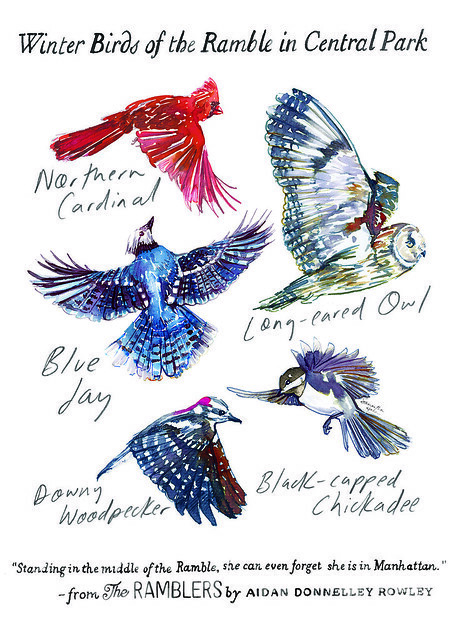 One of the characters in the book is a bird watcher so what perfect give-away than an illustrative guide to the birds of the Ramble. I’d love to spot an owl in there.